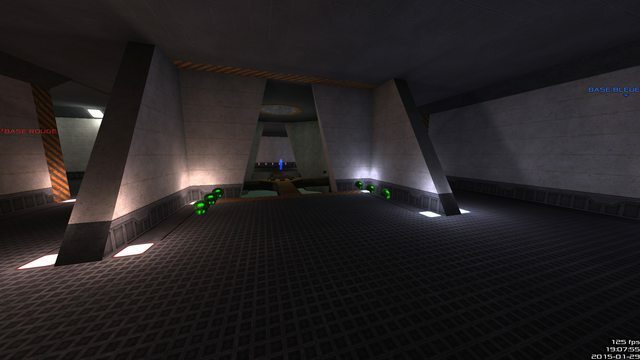 Disarray is intended to be a simple fast-paced, hectic space CTF map. I was inspired a lot by Skycastle. Special thanks go to Archer, Mirio & the [BOT] clan for their feedback and for the games they played! I'm open to all suggestions about what's wrong / what could be improved for this map! The vortex ledge is tricky, easy to fail in high speed, but it gives even more emotions. Yey! Very decent work there, Spike! The style (geometry and textures) is not outstanding but the layout is good and satisfectory. There are some scale disproportions: For instance doorway behind the flag is too small; the ledge above stairs is too low. Also: the "outside" area (platforms surrounding the whole map) is in much bigger scale then rest of the map, especially the dungeon) Good job with clipping some of the bumpy geometry (I usually forget about clipping myself or overdo it) yet still there is a room for improvement (I am writing about those boxes around the map - they seem to be quite a hurdle for players quickly moving around - they won't pay so much attention to their environment while they are in the center of combat! I am so happy we have another creator! Make awesome maps man! Thanks a lot for your feedback Justin! The hardest part will be to fix the scale of the dungeon I guess. About the bottom part: I wanted to prevent fast running and thus fast captures through the bottom corridors. That's why I chose this layout, but indeed the scale is weird and the quad room access is complicated. I added boxes around the map for the same reason: put some obstacles on the way of runners But I may remove some of them. I made those inspired by your doorways. Last concept (III.) might require some harder brushwork but Im sure you could do it. Nice work, loading map onto the Kansas vanilla server now. 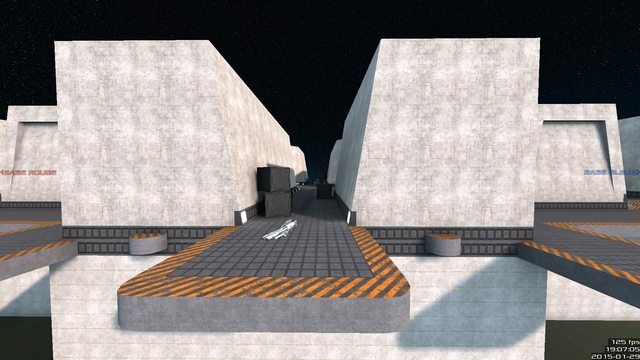 - fixed the ramps at the flag, so you no longer go "whooosh" when you're about to cap. It doesn't look as good as on your screenshot due to the slope of my walls, but you gave me some inspiration! Progressing nicely, updated map on Kansas. Fun map! This is a great map for a mapper-beginner but I would expect a little more from old folk like you, Spike! I am not sure what was the purpose of the map in a first place but it seems that major difference is that you changed layout and style. So let me please comment on these two. Your map doesn't have "The Middle" which is an area where all routes meet or all routes are accessible from. I managed to capture flag with very fast jumping using the "outside" route, which is slightly more friendly to player as it doesn't have hard turnings, low ceilings or boxes on itself (which all can be found in the bottom route). The style is very strange. There is strong, heavy concrete, that creates atmosphere like Museum of Death Camp design  http://www.archinea.pl/wp-content/upload...muzeum.jpg (I guess that must have been the outcome of the conversation with the Cortez). Futuristic lights are nice but the map could use some... LIFE. Right now its the architecture designed to scare - with over-scaled concrete walls with small angle like Egyptian temples (but without the color and columns) and small, closed interior parts that seem even scarier. Unless that was the mood you were aiming for. If that's so, forget everything I just wrote. Keep it up And give others some chance, huh? I will include big layout and style changes on a v2 release. 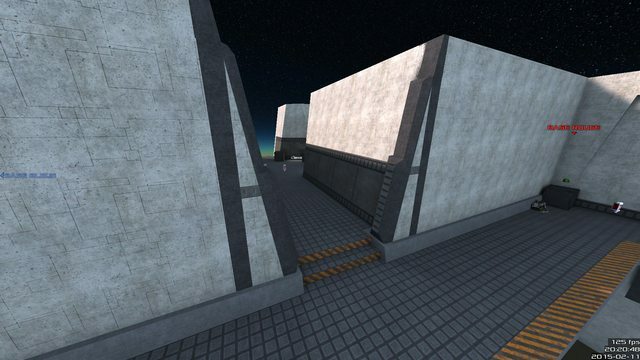 I already added panels on the concrete walls (it indeed looks less scary this way), improved the doorways (still wip) and even began to change the bottom corridors layout (but that's gonna be tricky :S ). I think I'll also delete the "outside" routes between Armor and Nex, so you have to turn and run through the middle area (above Quad). 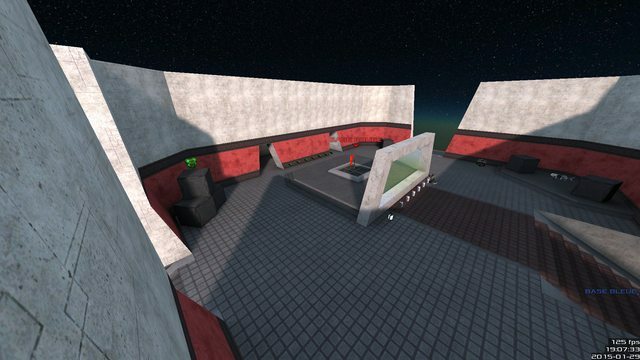 Just wanted to say, I played this map yesterday and it was AWESOME. I wasn't sure if it was a q3 competitive map because the flow was so good. It's like a modern skycastle. Keep it up man! 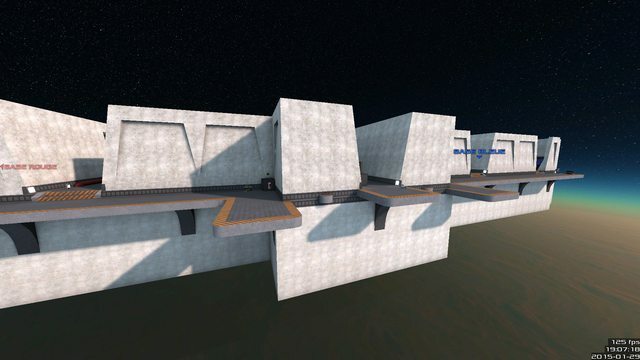 (03-16-2015, 09:44 PM)-z- Wrote: Just wanted to say, I played this map yesterday and it was AWESOME. I wasn't sure if it was a q3 competitive map because the flow was so good. It's like a modern skycastle. Keep it up man! Wow, thanks, glad you enjoyed it! 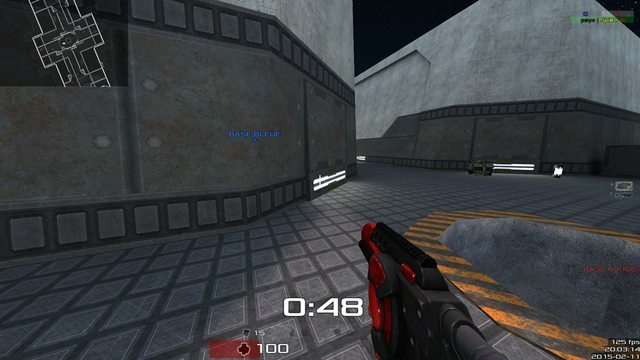 I recently opened this map again in NetRadiant and my eyes started to bleed. Download link in the first post.